Our aim is for people to feel comfortable discussing care options that suit them. If X-rays are necessary, we can send you to a facility within a five-minute drive to have them taken. We’ll then schedule your future visits a week or two out, so you can have the appointment times that suit you. You don’t need to wear anything special to this visit, but we recommend that you arrive 10-15 minutes early to complete paperwork. You can also find the necessary forms on our website and bring them in filled out. In total, your first visit will take about 45 minutes, including the time needed for paperwork. 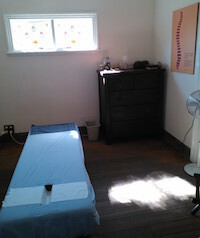 Many of our patients elect to return for regular chiropractic checkups. Chiropractic has given them the changes they’ve wanted in their lives, and they want to keep living at what they feel is the optimum level. You’ll be able to choose your own schedule, and Sacha will discuss his recommendations with you. Are you wondering if chiropractic might let you live a more active life? Contact us today to find out!